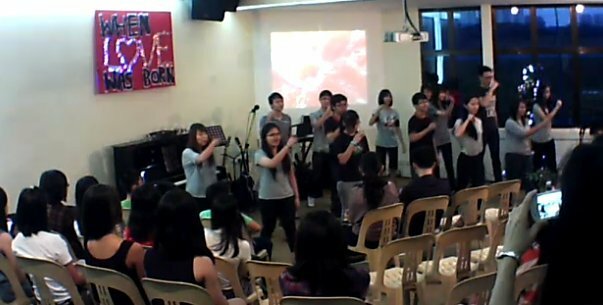 On that day, many friends came and we sang some Christmas songs and had a mini fun game being conducted by one of the cgmers (Jason) from young adult group. 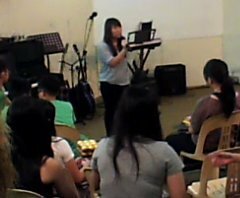 Jason and Charlene shared about how God helped and changed their life. Next up, 2 items each from youths and children. The response was unexpectedly good! The youths and the children's effort finally paid off after a few tiring practices. After eating, there were 2 booths - healing and know-your-future. Many friends visited and left a deep impression. Some stayed back to chat and know more about Jesus.